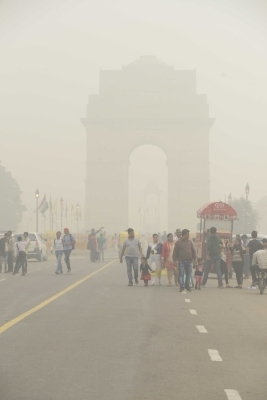 New Delhi, Dec 8 (IANS) It was a cold Saturday morning in the national capital with the minimum temperature recorded at 7.6 degrees Celsius, a notch below the season's average, while the air quality remained in the 'very poor' category, the weather office said. "The sky will remain clear throughout the day, with mist or shallow fog in the morning and haze or smog thereafter," an India Meteorological Department (IMD) official said. On Friday, the maximum temperature settled at 24 degrees Celsius while the minimum temperature was recorded at 8.8 degree Celsius, both were the season's average.